Mastering is often described as the final step, the polish, or the louder version of a master recording. While all these things are true, mastering offers a lot more than this. We make sure that your final product is the best possible version it can be and that it fully communicates your artistic intent. In today's streaming culture, you can be certain that your songs will end up on playlists with other artists. When your song is added to a playlist, will it hold up? Will it be too soft? Will it be too loud and distorted? Mastering makes sure your music has the same impact, emotion, and intensity as any other artist, big or small. Everyone wants their music to be the loudest, but the louder a track is, the more distorted it will become. Much of the magic in professional mastering is found in riding the balance between optimal loudness and minimal distortion. This isn’t something you want entrusted to a plugin or automated mastering service. Mastering optimizes the EQ across ALL listening environments. Your mix might sound perfect in your home studio, your car, or in your mixing engineer’s room, but that doesn't mean it will sound good everywhere else. Professional mastering specializes in making your music sound as good as possible wherever and however music is listened to. Mastering addresses problems you might not be aware of in the mixing process. 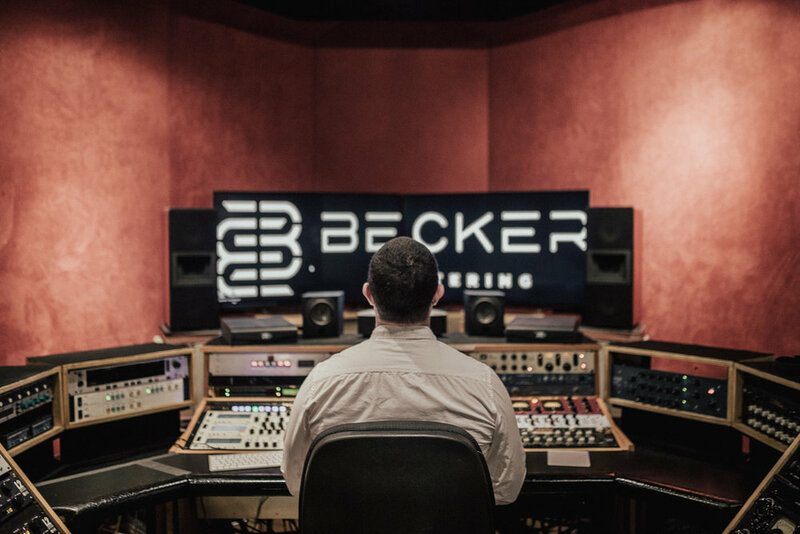 Becker Mastering has designed its listening environment to notice every detail and nuance of your recordings, including issues that need to be fixed such as clicks, pops, sibilant spikes, and sub-bass issues. Mastering adds analog saturation to your mix. Professional mastering, through the use of specialized equipment, can add analog saturation to your mix, or the quality of sound we’ve come to know, love, and expect of music we consume. The harmonic content added by recording, mixing and mastering on great gear is a huge part of what makes recordings sound so great. Because of this, indie projects can especially benefit from professional mastering because they often have limited interaction with top-of-the-line gear. Mastering streamlines product replication & distribution. Professional mastering engineers are specialists ensuring your tracks are released as intended. For those who are still replicating physical CDs, it is extremely important to have a professional, high-quality master disc that has been tested for errors and readability. If you are distributing digitally, professional mastering houses can master your music specifically for iTunes, Spotify and other streaming services. Because the music industry is always changing, a professional mastering house regularly working with artists is well aware of industry trends and release standards that can better inform its clients on the best release plan.